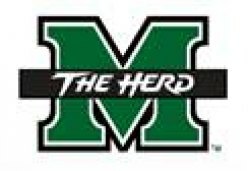 HUNTINGTON, WV- Coming off back-to-back seasons in which the Marshall men’s basketball team reached 20-wins and earned a trip to the postseason, second-year head coach Tom Herrion has his squad poised to take the next step in the rebirth of Thundering Herd basketball. The 2011-12 edition of Marshall basketball hopes to achieve something that hasn’t been done since 1987, qualify for the NCAA Tournament. Mixed with accomplished returners and talented newcomers, this Herd squad is up for the challenge. Four starters return from last season including the team’s leading scorer, Damier Pitts who averaged 16.2 points per game. As the team’s point guard, Pitts dished out a team-high 4.7 assists per game. Guard Shaquille Johnson and forward Dago Pena join Pitts as the only seniors. Those three, along with junior center Nigel Spikes, will be called upon by Herrion to be the team leaders. “I’ve challenged our three seniors and Nigel Spikes, because of the minutes he played last season, to gain ownership of this program as we go into uncharted territories,” Herrion said. For this team, uncharted territories mean expectations. After a fifth-place finish in Conference USA last season, Marshall has been picked by multiple preseason magazines to finish second in the conference behind perennial power Memphis. “Marshall may have Conference USA’s best talent outside of Memphis this year,” says Sporting News Magazine. “It has a solid perimeter nucleus and if the newcomers can give a boost inside, it might just challenge Memphis,” says Lindy’s Sports. “Memphis has the most talent in Conference USA. But Marshall has a roster that should be good enough to make the league race interesting,” says Athlon Sports. These expectations, although new to this era of Marshall basketball, come with good reason. The Herd returns five of its top seven scorers including C-USA Freshman of the Year DeAndre Kane and replaces seven departed letterwinners with eight talented newcomers. The strength of the team last season was the backcourt play of Pitts and Kane. The two guards combined to average 31.1 of Marshall’s 73.5 points scored. The duo also recorded 53 percent of the team’s assists. Pitts has been regarded as a player to watch across college basketball this season. Even ESPN’s Andy Katz has recognized Pitts’ talent, saying he could appear on the watch list for the Wooden Award later on this season. Kane averaged 15.1 points per game while playing the most minutes out of anyone as a freshman. He and senior forward Tirrell Baines were the only players to play all 34 games for the Herd. Kane also shined defensively with a team-high 32 steals. Also returning to the backcourt is Johnson and Pena. Johnson started 16 games last season while averaging 8.7 points. Pena was the Herd’s best three-point threat hitting a team-high 54 treys and shooting 41.5 percent. Despite Pena’s hot shooting, Marshall struggled overall from beyond-the-arc shooting a C-USA worst 32.2 percent. However, the Herd led the conference in defending the three, holding opponents to 29.8 percent shooting. Freshmen Justin Coleman and Jamir Hanner bring their talents to the perimeter after stellar high school careers. Coleman, a Richmond, Va. native, was ranked as the 40th player in the country in the 2010 class by Scout.com after averaging 20.3 points, 7.4 rebounds and 3.1 assists during Huntington Prep’s inaugural 2009-10 season. Hanner, a Philadelphia, Pa. native, was named a four-star recruit by Rivals.com after averaging 18 points and 13 rebounds for NIA Prep in New Jersey. Freshmen DeVince Boykins and Chris Martin along with sophomore Justin Howe add even more depth to the Herd backcourt. Last season, Baines, along with Spikes, manned the post for Marshall as he led the team with 6.6 rebounds and scored 12.8 points per game. After losing Baines to graduation, Herrion and his staff went to the state of Kansas to fill the hole down low. Robert Goff (Hutchinson Community College) and Dennis Tinnon (Kansas City Community College) signed with Marshall after two productive seasons in the Jayhawk Conference. A 6-9, 240-pound junior, Goff averaged 9.1 points and 6.2 rebounds per game for 18-4 Hutchinson. Tinnon stands at 6-8, 225 pounds and led the NJCAA in rebounding (13.3) while ranking fifth in scoring (22.6). He was ranked as the 20th best JUCO prospect in the nation. Yous Mbao is another transfer eagerly waiting to get on the court. The Herd’s tallest player at 7-2, Mbao transferred to Marshall after playing his freshman season at Marquette. The RuPisque Senegal native will start his Marshall career as a sophomore after taking a redshirt last season. Mbao is one of two foreign players on this year’s team joining freshman center JP Kambola. The 6-10 245-pound Toronto, Ontario native was a three-star recruit by Rivals.com and ranked as the 17th best player out of the talent-rich state of New Jersey. Spikes returns for his junior season after scoring 5.1 points and 5.9 rebounds per game. Standing at 6-10, 237 pounds, Spikes started all 32 games in which he played. Last season, Marshall ranked fourth in school history in blocked shots with 122, led by Spikes’ 32. 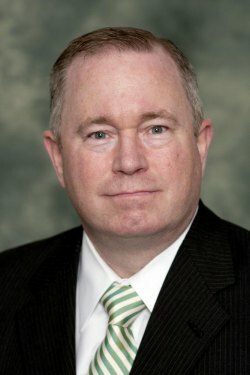 Marshall’s 2010-11 schedule is the most challenging it’s had in many years. The Herd will face 14 teams that advanced to the postseason in 2011 including ESPN/USA Today Top 25 teams Syracuse and Cincinnati, as well as conference foe Memphis. Also on the schedule is the Herd’s annual meeting with in-state rival West Virginia in Charleston. Even without the three Big East Conference teams, Marshall’s schedule is full of teams that fans are used to seeing on their NCAA Tournament bracket every March. Marshall opens the regular season on Nov. 11 against defending Southwestern Athletic Conference Champion Alabama State. The Herd also has games against Northwestern State, Iona and High Point as well as a home-and-home with Belmont which advanced to the second round of the NCAA Tournament last season. Regional rival Ohio visits the Cam Henderson Center on Nov. 30. The Bobcats are one of two Mid-America Conference teams on the schedule as 2011 NCAA Tournament participant Akron comes to Huntington on New Year’s Day. Conference USA action begins on Jan. 4 against UTEP. The schedule is just as challenging as ever with home-and-home meetings with UAB, UCF, ECU, Southern Miss and No. 9 Memphis. In addition to the UTEP game, Marshall will play home games with Tulane and Houston and travel to Rice, Tulsa and SMU. Four returning starters, eight talented newcomers and a challenging schedule make it easy to see why Herrion and his staff join in the excitement of the Marshall fan base and why the expectations are sky high. The season starts with an exhibition against Northern Kentucky on Tuesday, Nov. 1 at 7 p.m. inside the Cam Henderson Center.